• The body maintains a balance of acid production, intake, and excretion so that the plasma pH varies little despite daily variations in the production of acid by the metabolism of ingested foods. 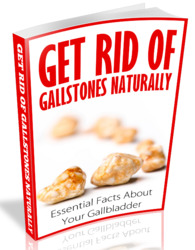 • The kidney is responsible for maintaining the plasma HCO3 concentration at normal levels, typically by reabsorbing all the HCO3 filtered at the glomerulus and generating new HCO3 by excreting titratable acidity and ammonium ions. • Acute changes in H+ intake or loss from the plasma can be partially compensated by buffering from plasma and cellular buffers including proteins, phosphate, and other weak acids and bases. • The HCO3/CO2 buffer system is particularly important because of the rapidity with which changes in ventilation can change plasma pH, but this buffer system is limited by the availability of HCO". 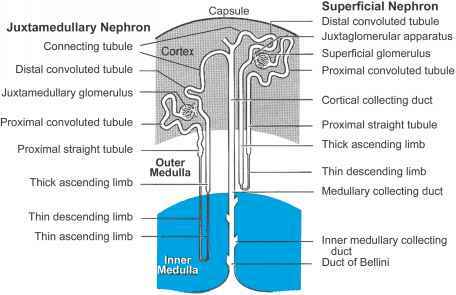 • In both the proximal and distal segments of the nephron, H+ is secreted actively into the lumen, while HCO" returns to the plasma. These transport processes result in the reabsorption of 90-95% of the filtered HCO" in the proximal tubule and reduction of the urine pH in the distal segments. • On a typical Western diet, HCO" reabsorption continues in the distal nephron segments; however, these segments are also able to produce "new" HCO" by excreting titratable acidity and ammonium, thus reclaiming HCO" that has been used to buffer fixed acids in the diet.